As smart phones and tablets continue to make traditional cell phones and landlines defunct, market researchers are seizing opportunities to interact with consumers who use these devices daily to communicate and stay connected. Social Media has crossed seamlessly onto the screens of our iPhones and Androids, and in so doing, these platforms have become a meaningful way of collecting qualitative data by offering opinion opportunities consumers can access from anywhere – even at points of purchase as people interact directly with products. This means that while customers shop – either as they evaluate goods, enter the store, or make their final selections – they can document their attitudes and experiences. 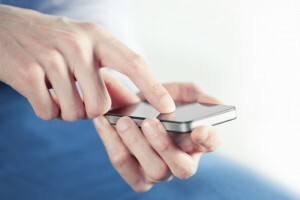 Market researchers who make use of online polling and consumer interaction techniques have come to embrace mobile technology as an additional means of collecting data from respondents – with the benefit of being able to do so in real time. This enriches data sets by adding location information, media capture, and immediate feedback to the research at hand. In so doing, the accuracy of the research conducted increases, no longer relying on a consumer’s recollection of experiences, but rather, capturing their feelings in the moment. Is mobile market research finally living up to the hype? This entry was posted on Wednesday, November 14th, 2012 at 6:55 pm. Both comments and pings are currently closed.